Paradise Beach and Batts Rock Beach are just 3 miles (5.2 kilometers) north of Bridgetown, the capital of Barbados. Take advantage of this convenient location for a quick beach trip if you have a free half day on your arrival or departure date. During your vacation, make a longer trip to Paradise for swimming, snorkeling and diving. Look for colorful coral and tropical fish around the occasional rock formations in shallow water. Arrange scuba excursions to interesting shipwrecks in deeper water. If you’re relatively new at diving, investigate the barge Lord Combermere resting in 40 feet (12 meters) of transparent water or Lord Willoughby in 60 feet (18 meters). Both are off the shore of Paradise and Batts Rock. You’ll find coral, small fish and sponges. The Charles Bank ranges from 50 to 140 feet (15 to 43 meters) in depth and is an excellent spot for many varieties of coral. The highlight for most divers is the SS Stavronikita, lying bow to stern at 70 and 100 feet (20 and 30 meters). The 365-foot (111-meter) Greek freighter caught fire in the Caribbean and was towed to Barbados for salvage. In 1977, the Barbados Parks and Beach Commission bought the vessel, salvaged valuable items and did an environmental cleanse, then sunk it to create a wreck for diving. It’s located 400 yards (366 meters) off the shore near Paradise Beach. Explore the underwater ghostlike shadows of the structural features. Observe how coral is forming on the ship, gradually turning the man-made vessel into a part of the subsurface barrier that protects the western beaches. You’ll find several reputable dive crews on Barbados. Arrange your dives before you arrive to be sure you can reserve the days and sites you desire. Back on shore, picnic in the shaded area between the two beaches or wander to the fishing village in nearby Freshwater Bay. To reach Paradise Beach by car, enter and park through the Batts Rock entrance. Buses and taxis from Bridgetown are very convenient. Located in Prospect, this beachfront property is in a provincial park and within 1 mi (2 km) of Batts Rock Beach and Paradise Beach. 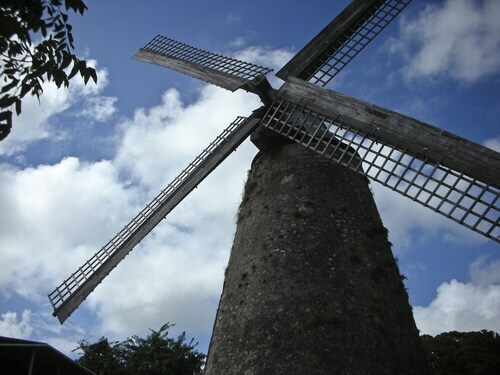 Brighton Beach and Barbados Polo Club are also within 3 mi (5 km). 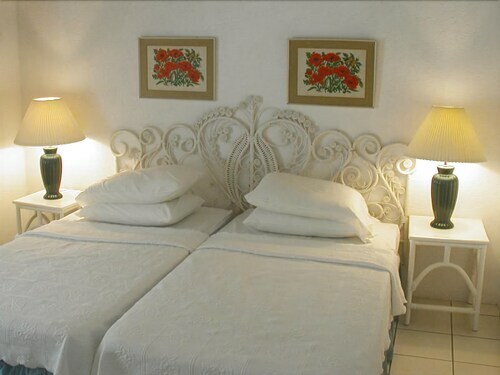 Situated near the beach, this apartment building is within a 15-minute walk of Paradise Beach and Brighton Beach. 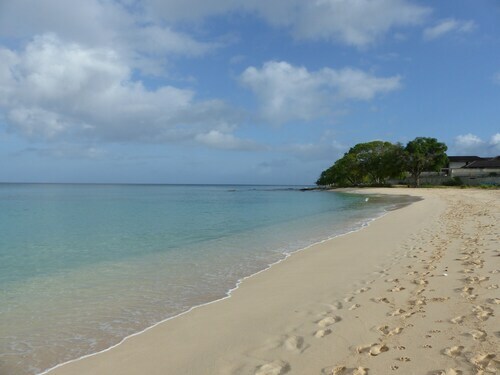 Sandy Lane Beach and Paynes Bay Beach are also within 3 mi (5 km). 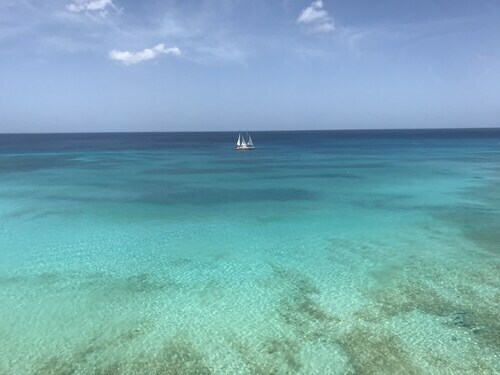 Situated on the beach, this historic vacation home is within 1 mi (2 km) of University of the West Indies Cave Hill Campus, Paradise Beach, and Brighton Beach. Paynes Bay Beach and Carlisle Bay are also within 3 mi (5 km). 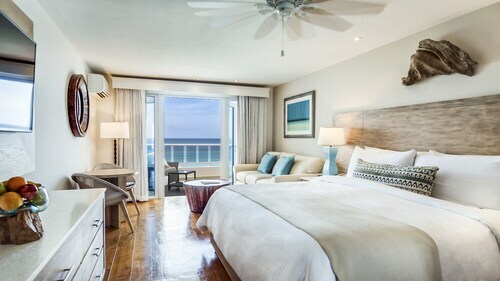 Nestled on the beach, this Bridgetown aparthotel is within a 10-minute walk of University of the West Indies Cave Hill Campus and Paradise Beach. Sandy Lane Beach and Brighton Beach are also within 3 mi (5 km). 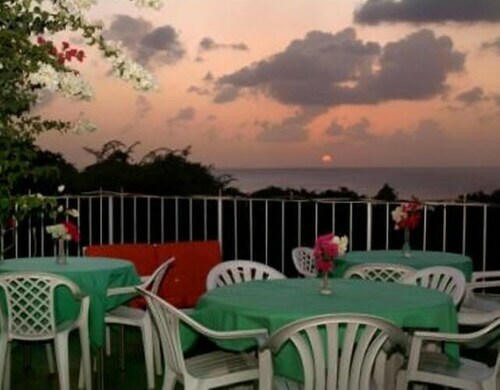 Located in the heart of Bridgetown, this romantic property is within 1 mi (2 km) of University of the West Indies Cave Hill Campus, Brighton Beach, and Paradise Beach. Carlisle Bay is 2.5 mi (4 km) away. Situated on the waterfront, this romantic vacation home is within a 15-minute walk of Batts Rock Beach and Paradise Beach. Sandy Lane Beach and Brighton Beach are also within 3 mi (5 km). Situated by the ocean, this apartment building is within a 10-minute walk of Batts Rock Beach and Paradise Beach. Sandy Lane Beach and Brighton Beach are also within 3 mi (5 km). 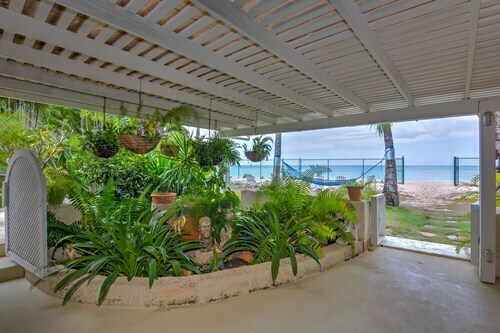 Nestled on the beach, this Bridgetown property is within 1 mi (2 km) of Mount Gay Rum, Brighton Beach, and Paradise Beach. Carlisle Bay is 2.3 mi (3.7 km) away.